Summer is winding down, and so is the summer reading list. You have finished yours, right? We all have high hopes of reading booking during the summer only to discover that work did not slow down and the kids, who are not in school, need a bit more of our attention than we planned. Summer has no sole claim to the reading list. Fall is a great time to read a book or two. The kids are back in school, the weather is cooling, and you are likely spending less time outside. I would like to recommend two books that I found to be good reads, educational, and cover two critical skills that just about everyone could improve: technology and leadership. The first book is written for the non-techie who wants to learn what modern technology is capable of doing, especially software. And if software is eating the world everyone in business should understand what software can do. The second book is about leadership, and specifically how great leaders multiply genius. What a great way to look at leadership. Here is a brief discussion of each book. It is difficult to think about a role in business today in which you do not need to be tech savvy. This is certainly true for learning leaders who must implement learning management systems, eLearning, performance support, social learning, simulations, and mobile learning to name only a few learning technologies. 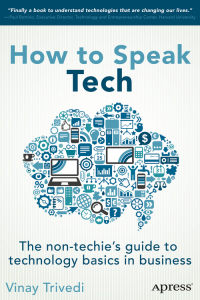 If you are not tech savvy, I suggest you read How to Speak Tech: the Non-Techie’s Guide to Technology Basics in Business by Vinay Trivedi. Your goal in being tech savvy is not to be a software developer or networking engineer, but to know what web and cloud technologies can do so you can speak intelligently with technologists to get your learning technology projects completed. This book will get you there. 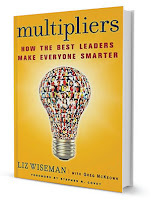 If I had to make a short list of leadership books that all managers should read, the list would include Multipliers: How the Best Leaders Make Everyone Smarter by Liz Wiseman and Greg McKeown. If fact, in my previous learning direction role, this is exactly what I did. I pass out the book to ever single leader, then I brought the Wiseman Group in to speak to the entire leadership team of nearly 80 executives. 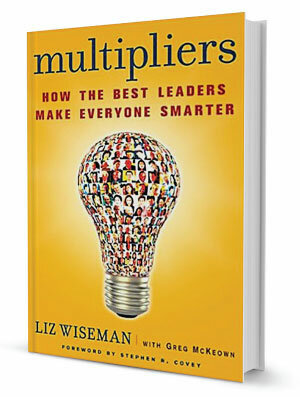 By reading Multipliers, you will learn that great leaders get more out of people than bad leaders, and you will learn how they do it. Great leaders multiply genius. Don’t you want your leadership team to do that? I know, everyone has a recommending reading list, and these are just two books that I find easy to read and educational. I think you will agree. If you are a manager and have a little discretionary budget at work, buy a copy of each of these books for your team. Your team will appreciate it. If you have read these books, what did you think of them? What other books would you recommend for a fall reading list? Share your ideas in the comments below. This blog originally appeared on the humancapitalist blog.